In Israel, three miles from the Gaza Strip, lives a family: the Bitans. Instead of the dangers they had known from balloon and kite bombs, rockets, and even the harshness of the Negev desert itself… they came to know the power of prejudice. They came to know anti-Israel, anti-Jewish programs. Specifically those of the BDS—Boycotts, Divestments, and Sanctions. Before the BDS, the Bitan’s primarily sold their fresh cut flowers in Europe, an area now firmly within BDS’ hold. Suddenly it became unpopular to buy anything from Israel. Stores banned the purchasing and selling of products from Israel—even flowers—and today, families all over Israel struggle to recover. 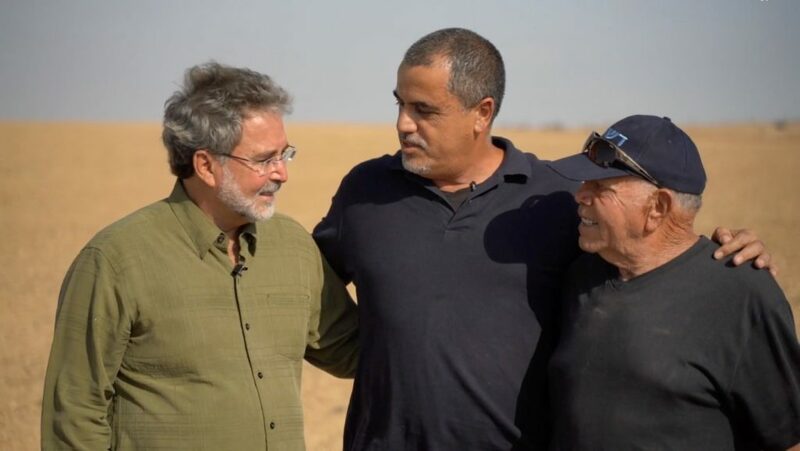 The current patriarch of the family has an impressive, wide-ranging knowledge of plants, as well as a lifetime’s experience bringing forth life in the hostile, unforgiving Negev desert—a mere three miles from the Gaza Strip. Not only is the surviving Bitan patriarch knowledgeable and skilled in farming, he is blessed with many children and an incredible 24 grandchildren! These children, all their parents and grandparents, survive by working the land… working the family farm. The area currently prepared for olive tree integration would employ 6 to 7 individuals alone, as well as provide the family a fighting chance to stay on the land. Land they consider to be in their very blood! While today, without help, the land may appear dry and lifeless, its very history is one of life. It is part of the Word itself, and the Bitan family understands the value of this, not only for themselves, but for the nation! 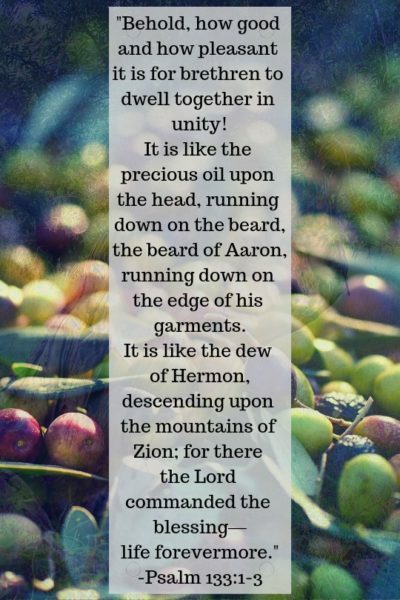 This is one of the many reasons why the Bitan families’ patriarch desires that the olives they plant will bear good fruit… so that the land might continue to produce life, as in the Word. That by its olives the Temple menorah may one day be lit! Yet, because of BDS inspired boycotts the family has neared bankruptcy and are at risk of losing their inheritance! 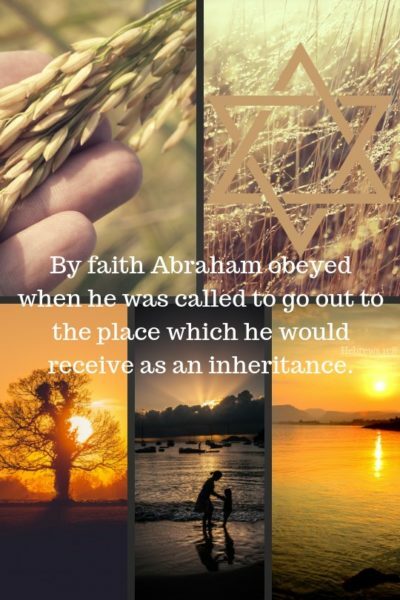 That is why they need our help: so that inheritance is restored; so that anti-Israel, anti-Jewish boycotts do not destroy what many have worked for; so that the family and surrounding community can once again have jobs working the land they love. The Bitan family already have the agricultural experience required to succeed in the olive industry. They already have the equipment. They only require the trees to help them regroup—to restart and thrive, doing the work they love. While at a glance it might not seem effective to support one family when you could plant olive trees for say, an army base… it makes a difference! We at My Olive Tree heard the cries of this family, and while many more suffer the same fate at the hands of the BDS’ bans, the Bitan family is uniquely set to receive our help. They already have the land required to transform into olive groves. They already have the equipment and knowledge to grow, harvest, and treat the olives. They already have the man-power and drive to see this through. All they require is our help to plant the trees that will allow their family to retain their dignity and land. Giving them the ability to stay together and maintain their inheritance! Yet, there is a difficulty. The family has been struggling for years due to BDS boycotts. Years of shrinking sales and gradually reddening bank-books have caused the family to seriously consider selling their farm before it is taken to repay their debts. They are a working family. They have lived on the land for generations—since the 1940s! They want to work; but the land has to have 600 trees planted by March 29th to make their staying there viable. Time may be short, but with God, nothing is impossible! If we all plant just one tree. If we all share their story and believe that with God all things are possible… then God will do the rest. 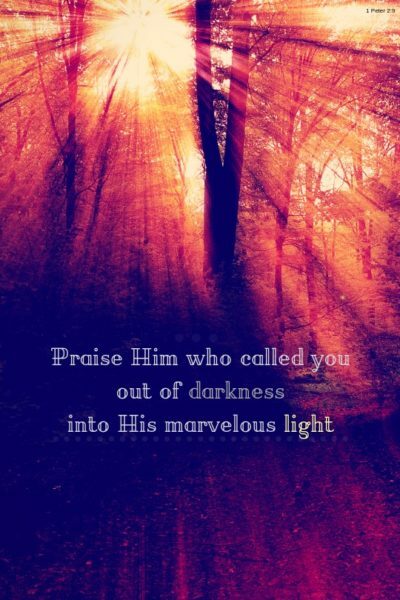 As with the story of the three servants who were each given a sum of money for safekeeping while their master went away, God has handed us each a measure of blessing. With that blessing we can either bury it in the ground—giving God back only what He gave us—OR we can invest the blessing wisely, giving unto God a great return! Let us share the love of God with the Bitan family. Let us show them that their Gentile brothers and sisters still love them as we act as Messiah on earth.